The block is owned by the Addison House Residents’ Management Company Ltd. The company owns the freehold of the block and is the Landlord. Most leaseholders are shareholders of the Company. The Company is administered by a Board of Directors, whose members are appointed by shareholders at the AGM, which is held in December. 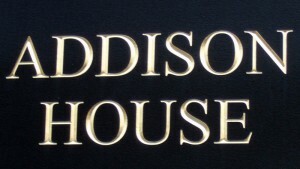 They manage Addison House in the long term interests of the shareholders. All the Board Directors own flats in the block and carry out their duties voluntarily and unpaid. In turn, the Board appoints consultants, surveyors and accountants, as it deems necessary, to assist it. HML Shaw should be contacted if you become aware of any problems within the building. They will also advise, particularly on insurance, if a problem arises within a flat. The House Manager, Stephen Taylor, works Monday-Friday 8am to 5pm. He lives in flat 4 on the ground floor near the front desk and is available, out of hours, for emergencies only.